Don’t be tempted to purchase commercial drain cleaner! It’s filled with corrosive chemicals that do more harm than good. Instead, go the natural route — pour a 1/2 cup of salt into your drain, and follow it up with boiling water. This should clear away minor blockages. Too many people pile dirty dishes in the sink without first scraping off food. This allows pieces of your last meal to get lodged into your drains, setting you up for future clogs. Be sure to toss uneaten food into the trash before rinsing your plates. “Over time, hair and soap scum team up to form a clog that can slow your tub or sink,” advises True Value Projects. 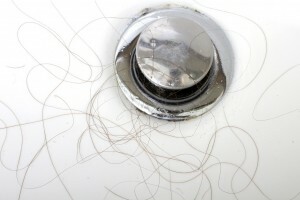 Throw on a pair of latex gloves, and remove all visible hair from the drain. You can even use an old toothbrush to wash away stubborn slime. Of course, if you do end up with a clog, we’re here to help. 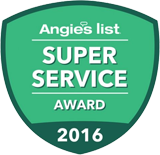 Service Plus Heating, Cooling & Plumbing uses hydro jet drain cleaning to eliminate blockages for good! You can learn more about our drain cleaning services in Fishers, Indiana and the surrounding areas at our website. Give us a call today at (317) 434-2627. We’re on social media, too! Connect with us on Facebook, Twitter and Google+.